SASTRA UNIVERSITY was founded in 1984 as Shanmugha Engineering College and later was renamed as Shanmugha Arts Science Technology and Research Academy (SASTRA) when it was given the status of Deemed University in 2001. The campus area nourished with over 10,000 students and 700 teaching faculty has made it a landmark in educational map of India. It has carved a niche for itself as a centre for fostering and developing the body, mind and spirit of its students. SASTRA is totally committed to this three - fold flowering of the students entrusted to its care. Our blend of academic excellence and real world experience with moral values has earned SASTRA, national recognition. A sprawling campus housing a built-up area of over 30,00,000 square feet and a vibrant population of over 10,000 students and over 700 teaching faculty have made SASTRA a landmark in the educational map of India. Indian Institute Of Chemical Engineers is a confluence of streams of professionals from academia, research institutes and industry. It provides a wide range of opportunities for development and advancement of Chemical Engineering sciences and its applications. 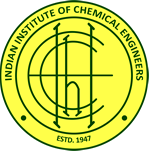 Indian Institute of Chemical Engineers (IIChE) was established by Dr.Hira Lal Roy, the great visionary and pioneer of Chemical Engineering education in India, along with few other stalwarts. 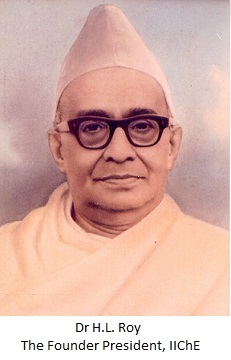 It was established on 18 May 1947 at Jadavpur University, Kolkata, with little funding and nominal infrastructure. IIChe has has now 7500 active members. The activities of the Institute are spread across the country through its 33 Regional Centres and 58 Student Chapters. Student members pursuing under-graduate degrees in Chemical Engineering form Student Chapters, under the auspices of the respective Regional Centres. The Student Chapters also arrange lectures, seminars, short courses, plant visits, etc., at regular intervals to better equip and empower the students when they come out of their academic precincts. Student Chapters organize cultural events and sports activities for their members. IIChE is organizing SCHEMCON (Students' CHEMCON) annually since 2005 to encourage the chemical engineers of tomorrow to come out with innovative and inventive ideas as well as to boost their self-confidence. IIChE student chapter at SASTRA University was eastablished in January 2011. Under this, two technical symposiums named PRAKRIYA were conducted. Prakriya’11 had students coming up with many innovative ideas in the form of oral and poster presentations. Prakriya’12 had much more responses from educational institutions and industries. Under the student chapter many events were conducted such as Industry Defined Problems and a workshop on Scilab.